WOW, I can’t believe it’s Friday already. Well, actually that’s a great big ole fat lie. I’m so glad it’s Friday, I feel the need to shout it from one Colorado’s 14ers. Now, on to this weeks Friday 56. The Friday 56 is a weekly meme hosted over at Freda’s Voice. The rules are simple and go something like this. 5. Add the post url, not your blog url to the Linky. 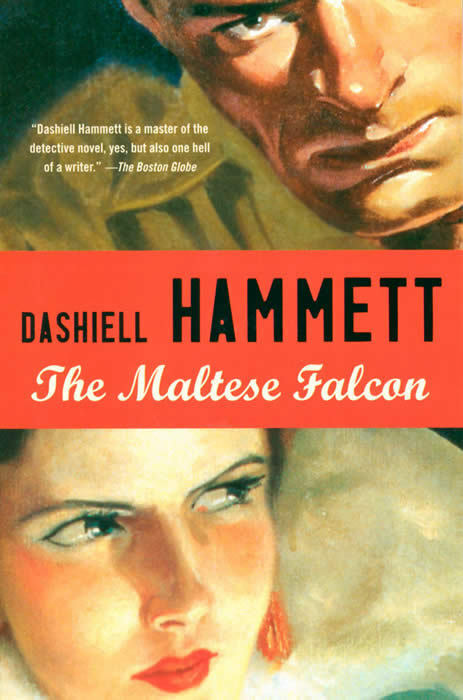 This week, or rather this past weekend, I devoured Dashiell Hammett’s The Maltese Falcon. I read it for one of my book clubs and I was hooked fairly early on. The Maltese Falcon clocks in at a mere 217 pages and those pages are packed full of stuff that makes you want to keep turning the pages. As a matter of fact, I was about halfway through before I realized the only sustenance I had was a bag of chips. It was difficult for me to choose a line or two on page 56, so I cheated a bit. This quote is from page 156. He stood in the doorway with his soft hat crushed between his head and the top of the door-frame: he was nearly seven feet tall. A black overcoat cut long and straight and like a sheath, buttoned from throat to knees, exaggerated his leanness. His shoulders stuck out, high, thin, angular. His bony face-weather-coarsened, age-lined – was the color of wet sand and was wet with sweat on cheeks and chin. His eyes were dark and bloodshot and mad above lower lids that hung down to show pink inner membrane. Held tight against the lift side of his chest by a black-sleeved arm that ended in a yellowish claw was a brown-paper-wrapped parcel bound with thin rope – an ellipsoid somewhat larger than an American football. Well, that’s my Friday 56 and if you haven’t read it, I hope I picked the passage that sparked your interest to read The Maltese Falcon. I’ve heard the movie is pretty good. Maybe I’ll get the movie from Netflix now that I’ve read the book. Ah yes, I know all too well about Mom having a VHS of something. My mother will quickly whip out her prize VHS whatever at the expense of our embarrassment. How cruel. 🙂 But we do get a pretty big kick out of it. That was great. Thanks. I will now consider reading some Dashiell Hammett. His wording in that passage is so well constructed and evocative. Thanks Bernadette, for stopping by. I’m glad I inspired you to read some Hammett. This was actually my first time reading him and as you can tell I throughly enjoyed it. I do believe I’ll have to read some more.